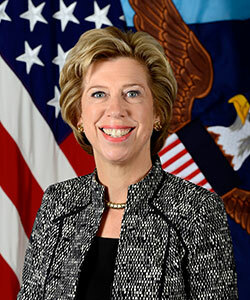 Ms. Lord is a former Vice Chairman of the National Defense Industrial Association, as well as a former Director of the U.S. – India Business Council. She has served on the industry steering committee for the Center for New American Security’s (CNAS) task force on “Strategy, Technology and the Global Defense Industry,” as well as CNAS’s DoD-Industry collaborative project “Future Foundry: Forging New Industries for Defense,” which was formed to examine key technological trends and challenges facing the global defense industry. Ms. Lord has also served on the Board of Trustees of the U.S. Naval Institute Foundation.